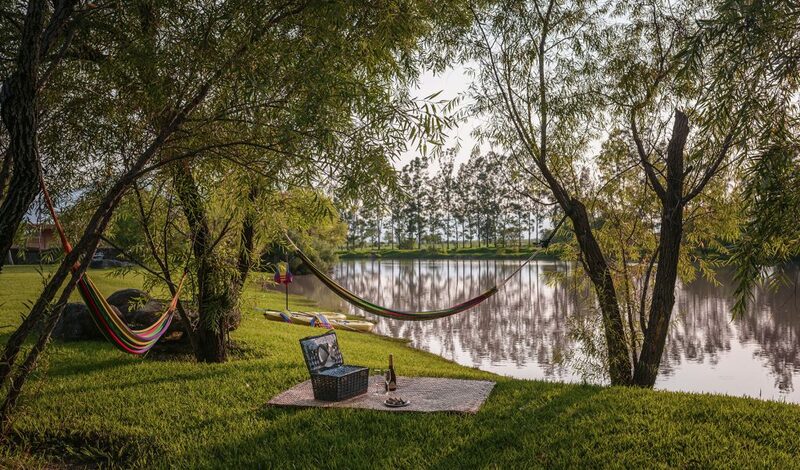 Less than an hour from Guadalajara, in Mexico’s western state of Jalisco, lies the town of Teuchitlán. 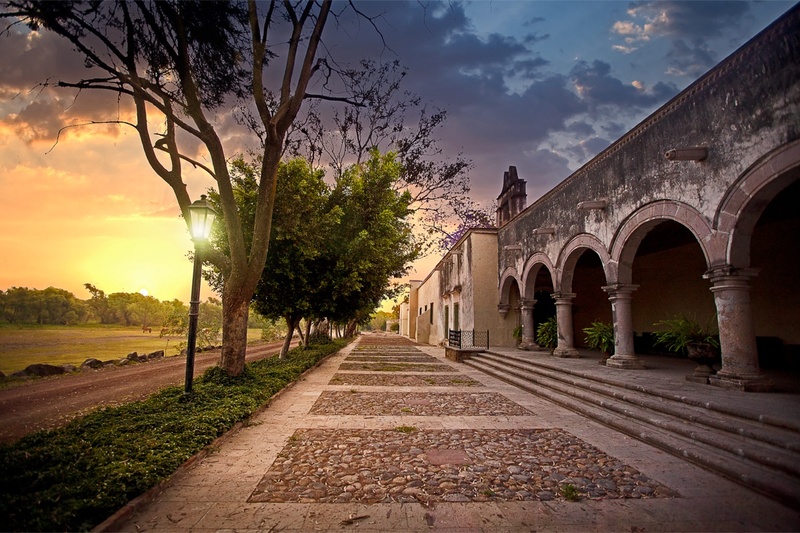 This is an area that few visitors to Mexico experience, preferring to stay within the easily navigable city or to take the train or bus to the infamous town of Tequila. Mexico’s heartlands, where colonial ranches abound and the agricultural industry still thrives are well worth your time. 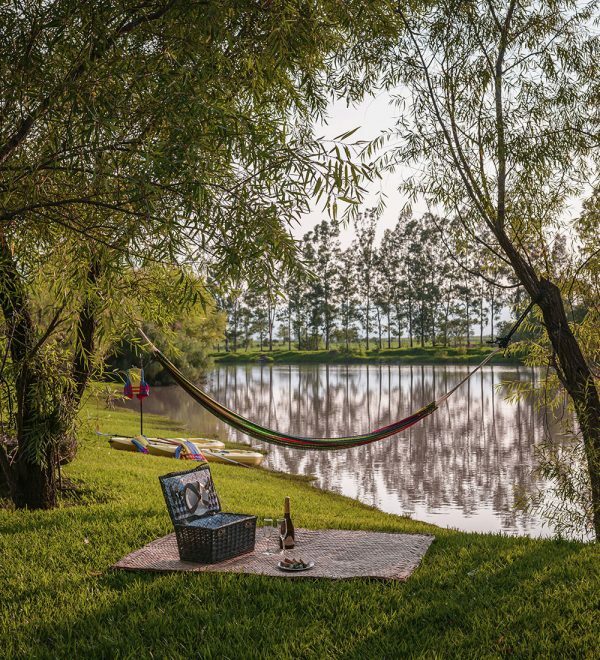 Hacienda Labor de Rivera is one such ranch, where agriculture still takes place and the glorious colonial building has been transformed into a luxury boutique hotel. 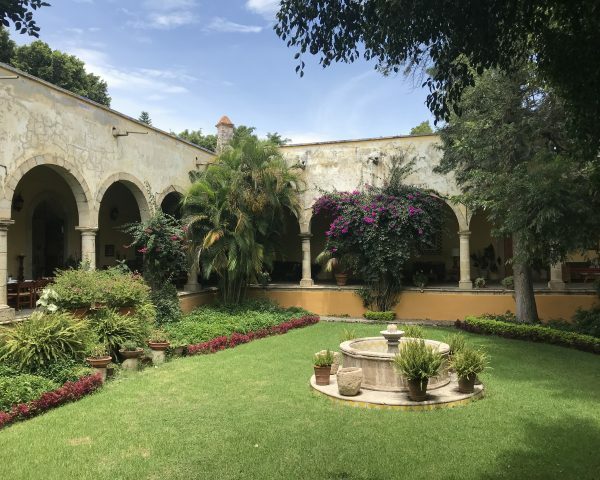 Founded around 1566 by the Colio family, the hacienda was originally called ‘La Labor de Maria de Colio’ in honour of the daughter of Don Diego de Colio III, whose son was the priest that oversaw the building of the hacienda’s chapel. Later, the families of Siorda and Camarena further improved the hacienda, seeing the property through the turbulence of the Mexican War of Independence, the presidency of Porfirio Díaz and the 1910 Revolution, after which the land was seized by ex-military ‘Major’ Rubalcaba. The recent renovations and the transformation of this historic property into a luxury boutique hotel have all taken place under the ownership of the Luque family, who bought the property in the 1970s and have been able to ensure that the hacienda’s captivating history continues to be felt throughout the property. We were welcomed into the reception area with cool drinks that combined lemongrass and peppercorn in a refreshing elixir that energised our bodies after our drive. Hacienda Labor de Rivera appeared stately and elegant, reflecting in its pale surfaces that golden light of the Mexican afternoon. Unfortunately, on this occasion we were unable to stay, but a tour of the property enabled us to see the classically decorated high-ceilinged rooms for dining and drinking, much of the original furniture retained and restored to give the impression that Don Diego might arrive at any moment and invite you to dine with his family. Bedrooms bearing individual names come in three categories – colonial, junior and deluxe – but every one has original features from the colonial era celebrated and cherished inside. 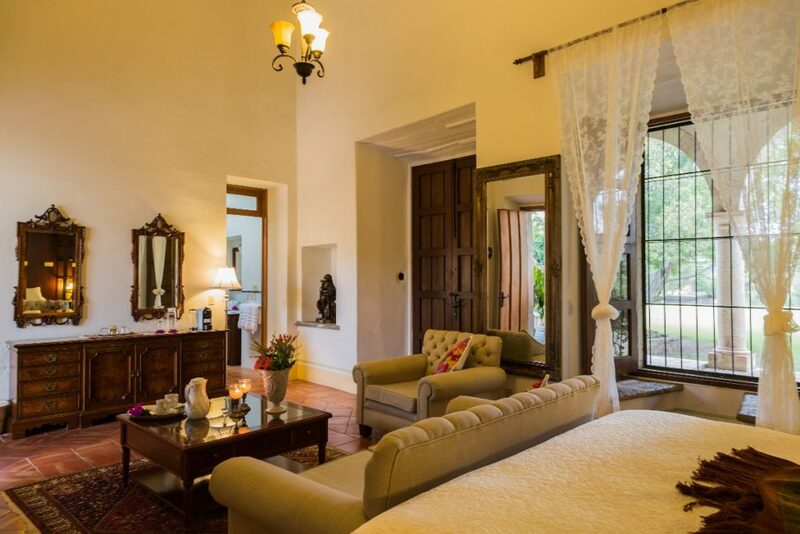 Huge beds and wooden furniture create a sense of historic luxury, while views of the lake or the gardens flood the rooms with an incredible warm glow of sunshine. 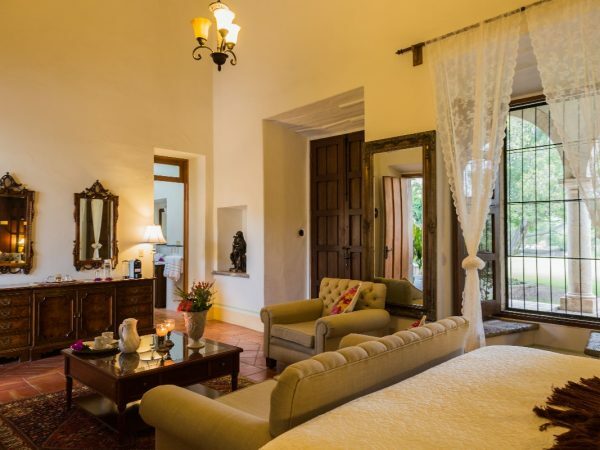 My particular favourite was the colonial suite which had beneath it an oven from a previous century, now visible through a circular window in the floor, and a secret hatch leading to passages used in Mexico’s wars; for guests, these unique features create a magical connection to heritage of the property. 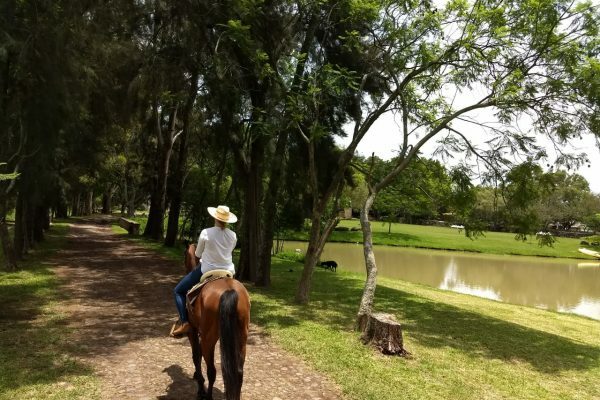 Besides a burgeoning events business that caters for weddings in the private chapel, Hacienda Labor de Rivera also offers a number of activities, including spa services and horse riding. 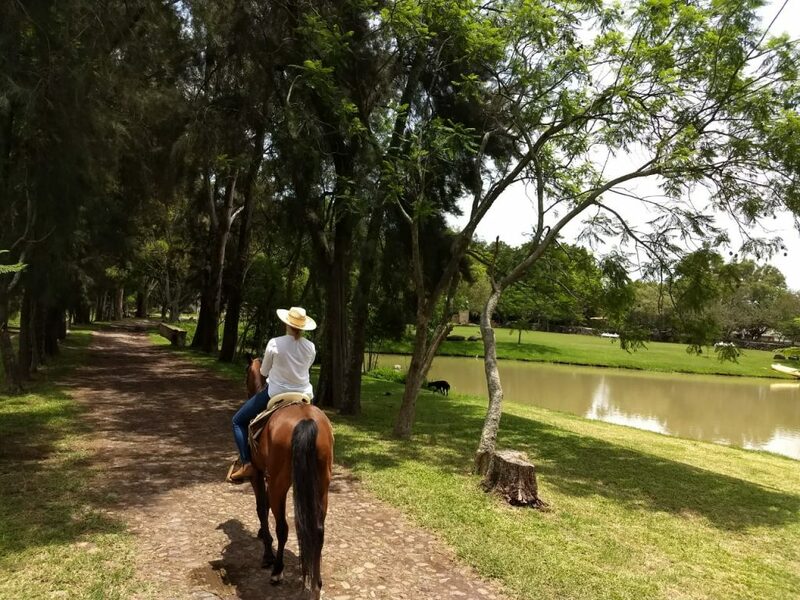 Charlotte put a gentle bay mare through her paces on a tour of the fields nearby and reported back that the experience was delightful, enabling her to view the teeing wildlife and rolling volcanic hillsides in a traditional way as well as giving her a substantial appetite for our incredible lunch! The restaurant at Hacienda Labor de Rivera strives to source ingredients locally, growing and farming as much as possible for their own use. The restaurant celebrates the mayoras, female cooks who work alongside Head Chef Gaby, to create a completely Mexican gourmet experience, which we were able to enjoy with paired tequila and cocktails. Stand out dishes included ceviche scallop served with a thick guajillo chili sauce and beef tiradito (like a carpaccio) with morita pepper and crispy garlic. As well as creating new dishes, the tasting menu included gourmet takes on the infamous torta ahogada (drowned sandwich) and local speciality of snapper in zarandeado spices. Each dish was served with a tequila blanco, reposado, añejo or blended (these are known as joven) from Circulo, a brand which displays modern Mexican art on its bottles. The production of joven tequila was new to me, and the flavour was bright, with a hint of aged depth, which lent itself incredibly well to cocktails that included herbs such as lavender and rosemary from the gardens. The penultimate cocktail was also an incredible hit, more of a chocolate and cinnamon slushie, and we all agreed that the mole flavoured ice cream (why has no one else done this?) accompanying the final dessert was a true gastronomic sensation. It was a shame to leave; I’ll definitely be back to visit Hacienda Labor de Rivera when I next visit Jalisco. This grand property evokes a strong sense of its history as you wander through the courtyard porches and admire the tumbling bougainvillea. There is more than enough to keep you occupied in the area, where one can explore Jalisco’s agave fields and the ancient stepped pyramids of the Guachimontones, western Mexico’s oldest archaeological site. 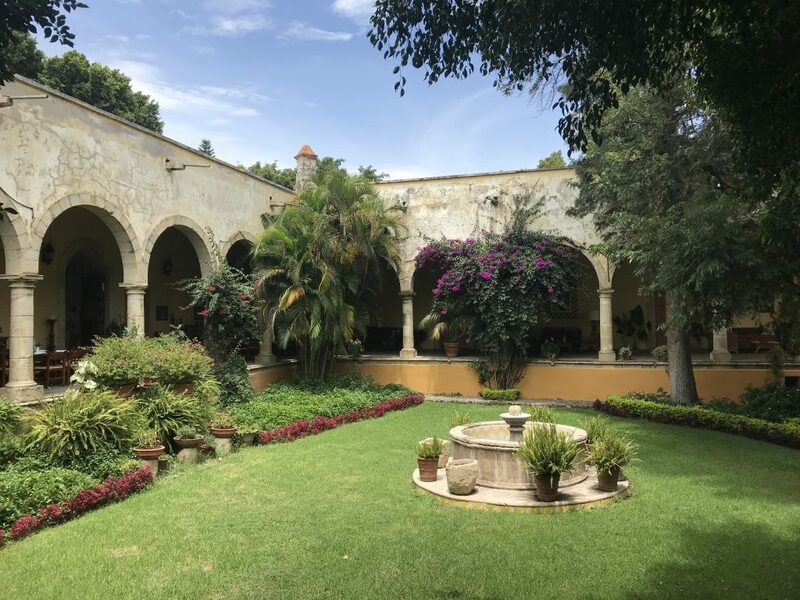 However, you don’t have to take a tour or even leave your room for a cultural experience at Hacienda Labor de Rivera, where tales of Mexico are told by your generous hosts and the colonial history is under your feet, in every brick and in the very air.